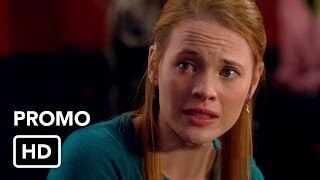 Switched at Birth 4×08 “Art Like Love Is Dedication” – Bay tries to figure out how she can pursue an art career. Regina invites Eric (guest star Terrell Tilford, ‘The Young and the Restless’) and his son to stay with her temporarily. Mingo (guest star Adam Hagenbuch, ‘The Perks of Being a Wallflower’) asks Daphne to hang out. Meanwhile, Kathryn offers to help Travis with his English.